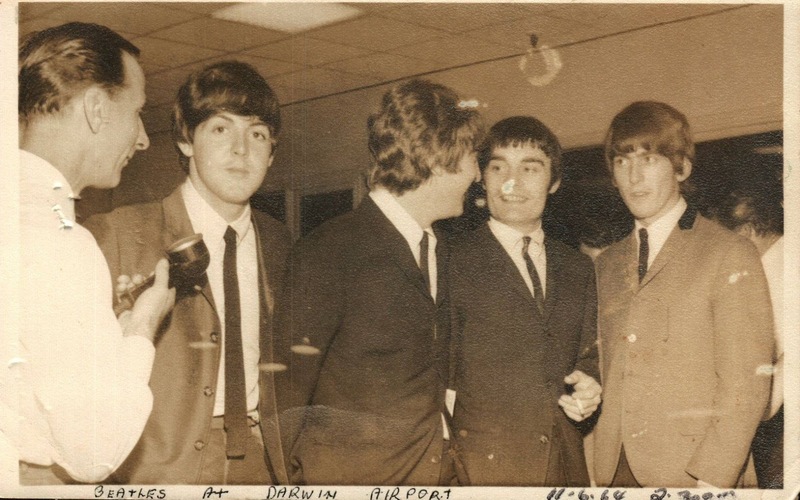 With the recent announcement of Jim Berkenstadt's great book about Jimmie Nichol being turned into a movie, there has been a new interest in the short time Jimmie played drums with the Beatles. So I thought I would post this photograph that I found on Twitter of the guys and Jimmie being interviewed at the Darwin airport in 1964. Thrilled to see my photo up. Taken at 2.30 am in Qantas lounge . So thrilled to share it! Thank you!